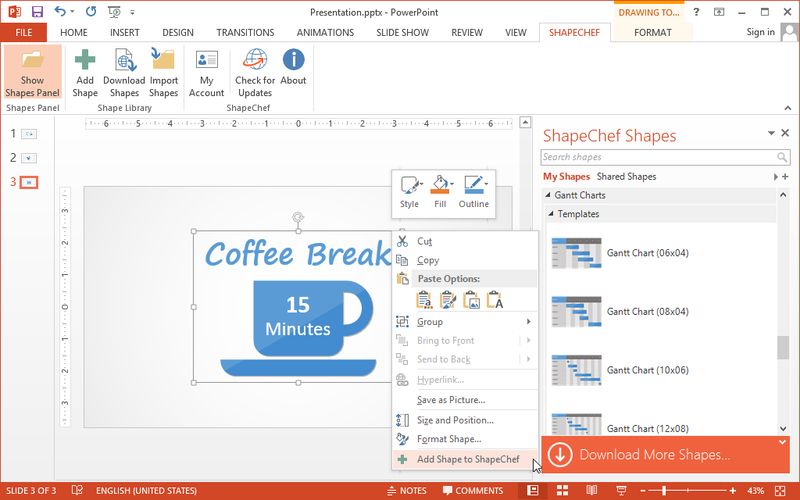 ShapeChef provides access to a growing collection of high-quality PowerPoint graphics, charts, and icons. 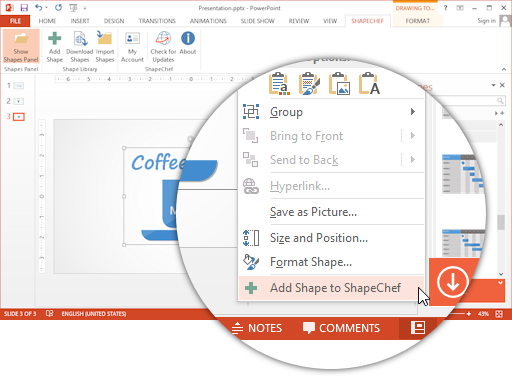 ShapeChef integrates a library pane into the PowerPoint window, which allows you to download our premade graphic collections and organize your assets. The instant search feature helps you quickly find items in the library. 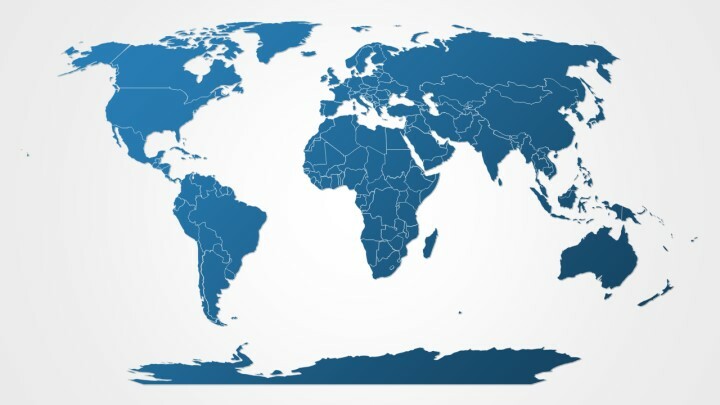 As you type, the library is automatically filtered until you get the result you seek. 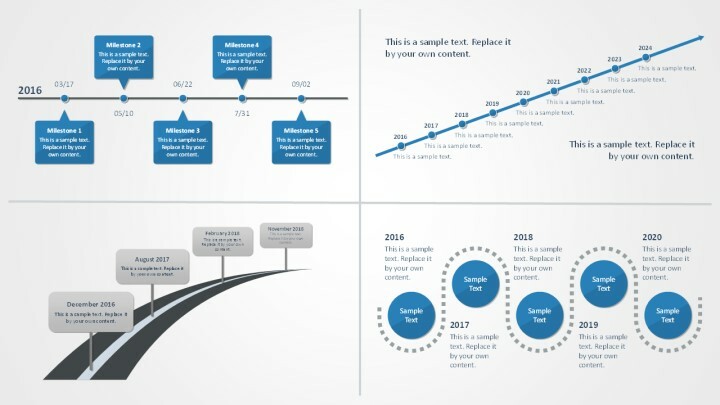 To use a graphic for a presentation, just drag it from the library pane into your PowerPoint slide. It’s that simple. 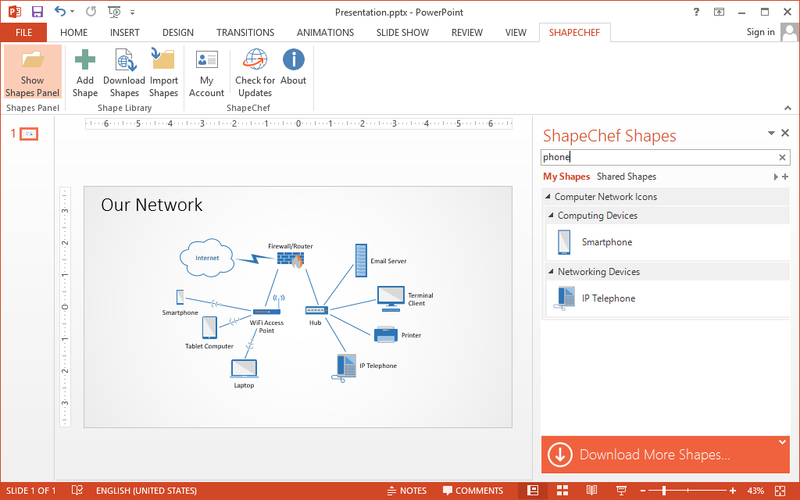 Adding items from a PowerPoint slide to the library is possible as well. 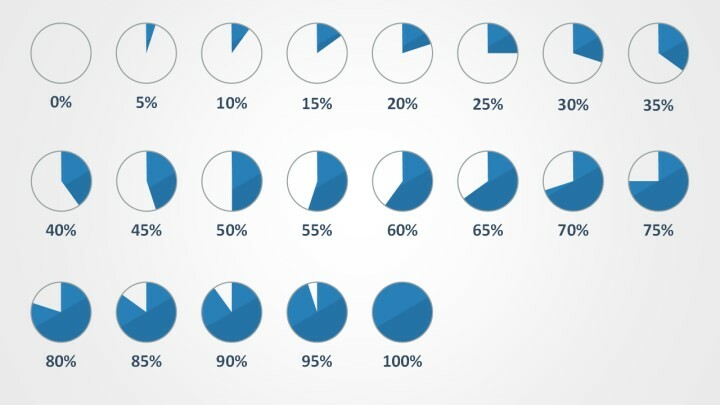 For better organization, you can arrange your assets into separate categories and subcategories. 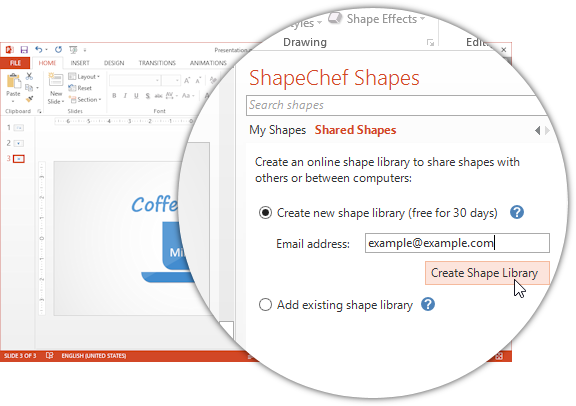 ShapeChef enables you to create shared libraries that are accessible to an entire team or company. 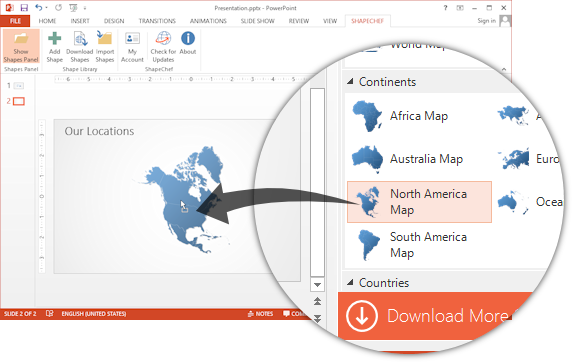 Using this feature, you can build a central repository for graphics and charts commonly used in your organization. 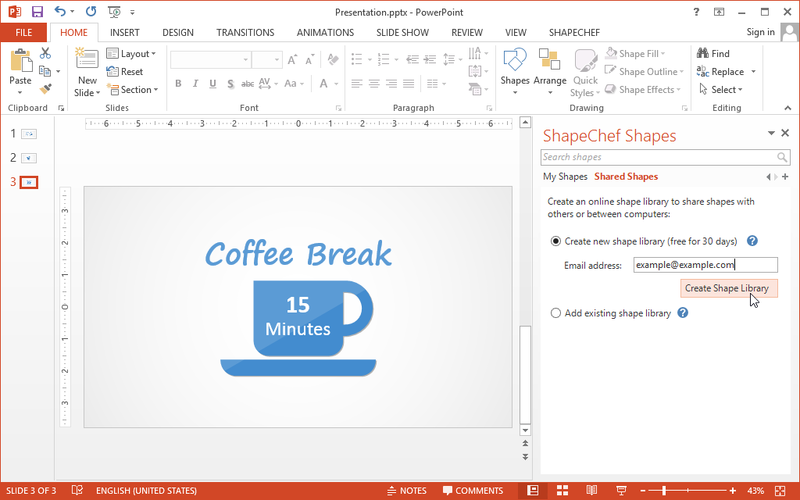 ShapeChef makes working with PowerPoint more pleasant and productive. 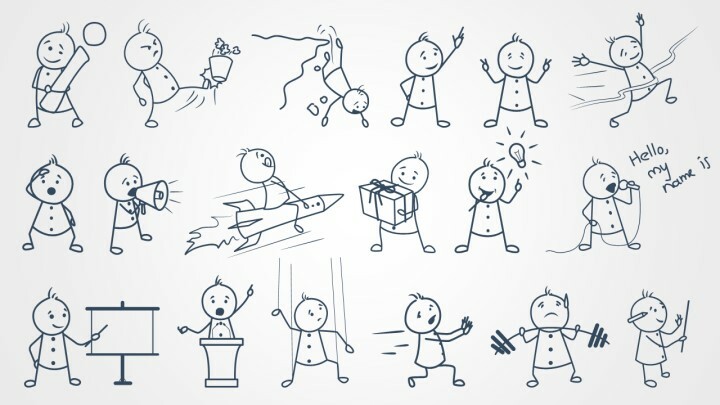 ShapeChef helps you find diagrams and illustrations to better convey your message and engage your audience. 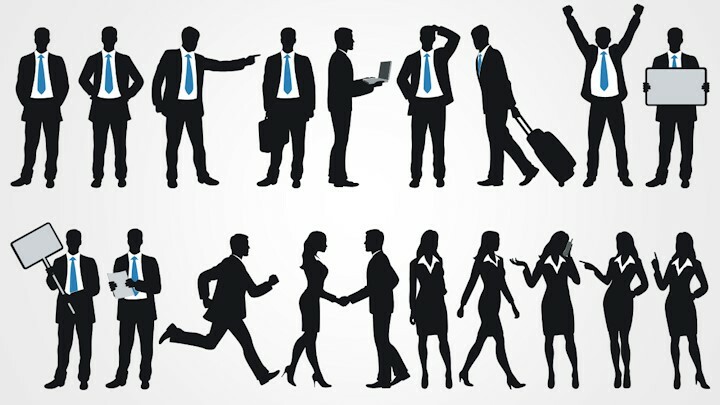 After all, a well-chosen and well-placed graphic is worth a thousand words. 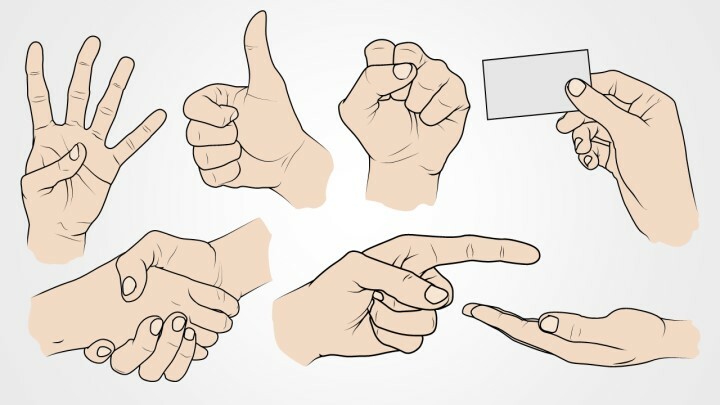 No more searching the web fruitlessly for proper images. 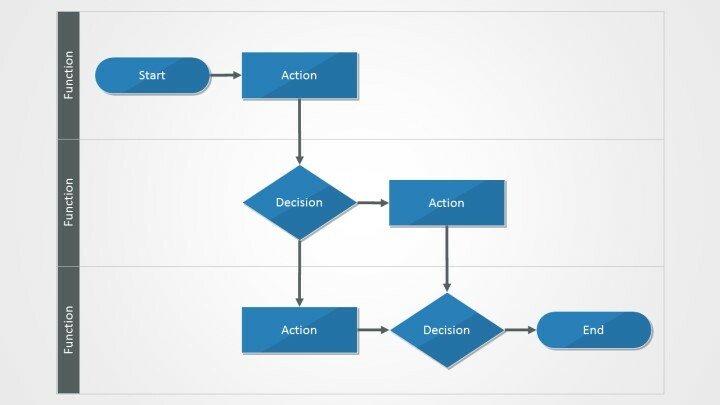 Forget wading through piles of old slides in search of a diagram you previously created. 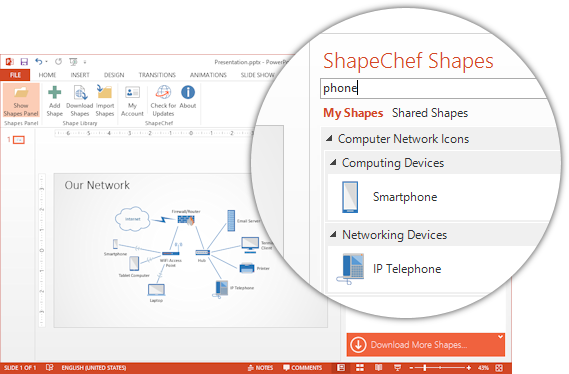 ShapeChef makes it easier to find new graphics and reuse existing ones—right from within the PowerPoint document window. 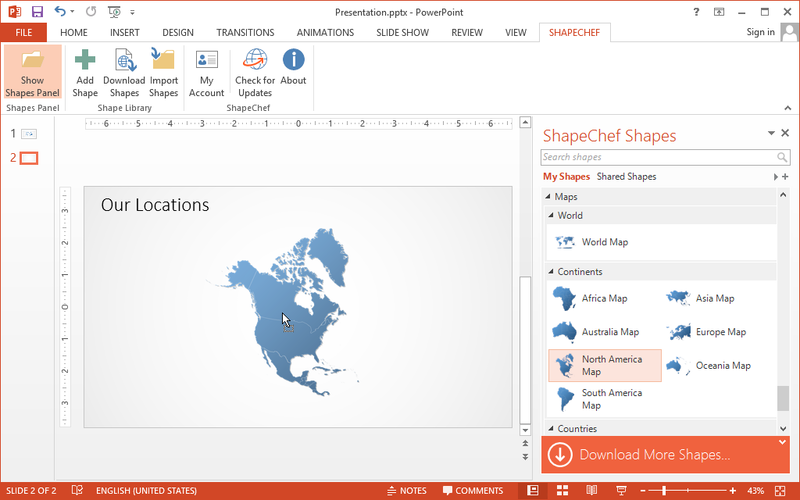 Use ShapeChef to establish a central library of PowerPoint assets in your company. 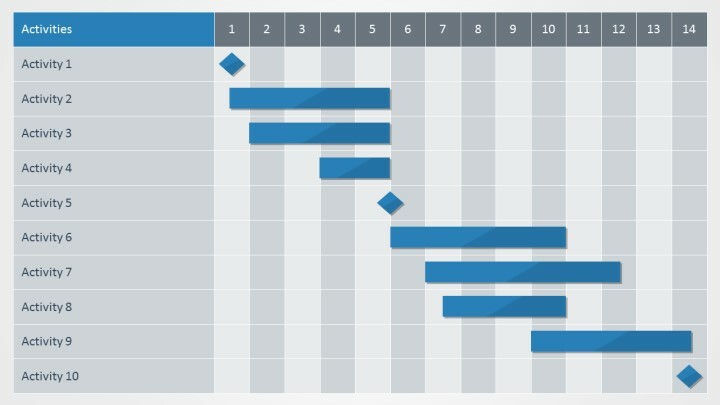 This feature will not only increase productivity but also help maintain a corporate design standard.